Banks and financial services remain India’s dominant sector. Just about everything else about bran..
WPP and Millward Brown will release the 2nd annual ranking and report of the BrandZ Top 50 Most Valu..
Strong valuable brands deliver superior shareholder return BrandZ India Top 50 Portfolio outperforms.. Rising empowerment touches all segments of Indian society, both urban and rural Women’s greater i.. The Indian respect for the past makes progress slower, but more sustainable Brand success requires g.. Preserving traditions ranks high among Indian priorities Even as the pressures of modern life erode ..
Fast growing e-commerce, mobile brands may soon enter the Top 50 Dynamic categories portend market d.. Brand Power drives value growth across brand ownership models Indian and Chinese Brand Power varies ..
Indian consumer trust in brands grows steadily Brands reach a receptive rather than skeptical audien.. Needs of the growing middle class, and the national agenda drive trends SEGMENTATION Expandin..
Building brands in India requires deep insight, boldness and speed 1. Be different Because Ind..
Brands must harness digital or be left behind Pawan Singh Research Executive Millward Brown Pawan..
New consumer assertiveness challenges brands to deliver Jasmeeta Agarwal Senior Planning Director ..
Be creative with content to engage consumers Gaurav Mehta Media Analytics Executive Millward Brow.. Treat social media influencers like high value customers Mihir Karkare Co-founder & VP Social.. Rising singles market offers new opportunity Shriya Sengupta Group Head Planning Ogilvy & Math.. Successful exporters leave enormous potential at home Saurabh Karve Research Associate Millward Br..
Indians build a modern state on the firm foundations of an ancient civilization From its independe.. Brand India is evolving rapidly, like India itself It potentially can be about global leadership i..
Free and empowered people build their lives and the nation Ancient civilization transforms into a ..
Changing attitudes will impact brands Indian consumers are changing. 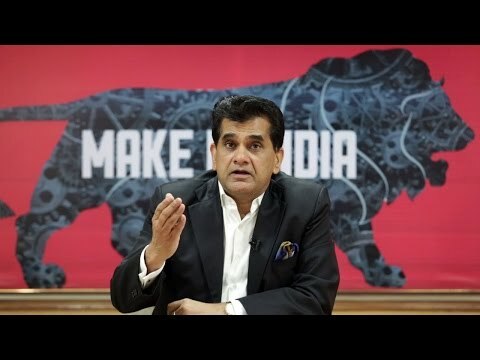 That much is clear from the May..
Connectivity initiatives aim to transform India The term Digital India describes a collection of a..
India plans to create 100 cities of the future Soon after his election as prime minister, Narendra M..
Internet penetration takes off, after lagging other countries Indian Internet users totaled 269 mi..
Internet access, investment drive exponential growth Indian e-commerce totaled $13.5 billion at the ..
Indian and import brands fight for share in growing market Total mobile phone shipments reached 25.. Rural users double in only one year The number of social media users in India reached 143 million in..
Digital leads in spending pace, but TV dominates Annual investment in digital continues to outpace.. Empathy and effort wins hearts, minds and loyalty Sheryl Roche Senior Account Executive Ogilvy &..
?Mobile enables Indian Jugaad resourcefulness Aditi Jain Account Planning Manager J. Walte..
Key tactics move consumers from shopping to purchase Shradha Jadhav Account Director Millward Brown..
Move over pop culture, India has a counterculture Nisha Ganneri Planning Director Ogilvy & Math.. Marketers must improve response to multitasking and multi-screening Warish Jain Senior Research Ex..
Depict responsible empowerment not mindless entitlement Aparna Jain Planning Director Ogilvy & .. Relevant content connects purpose to purchase Nishith Srivastava Director, Digital - Strategic Pla..
Social currency has become the new measure of success Ravi Raman Iyer Strategic Planner Contract ..
Brands need to tap the core strengths of their “Indianness” for global success Beyond exotica, I..
Government and brands both play important roles reaching remote areas and improving lives Innovati..
Today’s thriving brands build great experiences by putting the customer in the driver’s seat.. The number of Indians online is enormous, but small if compared with the potential Brands need..
E-commerce is growing rapidly, overcoming barriers to reaching consumers in rural areas Leading ..
Women leverage their household decision- making experience to pursue new family and personal goa..
Indian men struggle as empowerment of women impacts ideals of masculinity Brands adjust products..
More Indian women today take journeys seeking self-discovery and greater fulfillment Brands need..
India Top 50 score well in brand equity metrics The BrandZTM India Top 50 brands are generally .. Unique methodology assesses brand equity and competitive possibilities BrandZ measures brand equity ..
India and Global Top 50 match in being perceived as Different The BrandZTM India Top 50 brands sco..
India Top 50 brands outscore global leaders in being seen as Meaningful Meaningful (meeting nee..
India Top 50 match global brands in being Salient Brands in India are comparable to global brands..
Brands in India enjoy strength today, but face challenges in changing market The India Top 50 bra..
BrandZTM success drivers increase in importance as India matures A recent analysis of the BrandZTM T..
Indians lead global organizations in brand and corporate reputation RepZ is a BrandZTM measuremen.. The Top 10 Risers increase significantly in brand value The Top 10 Risers outperformed the overa..
Brands new to Top 50 all originate in India Four brands entered the BrandZTM Top 50 Most Valuab.. Leaders in brand strength cross multiple categories Brand Contribution is a BrandZTM metric that ind.. Brand communication tools are much stronger today, but so is the competition Customer service stra..
Technology, new regulations result in some new categories and additional sub-categories In this envi.. Brand campaigns must touch an emotional chord to connect deeply with the audience Brand success in I..
Consumer presence on web and mobile channels drives more investment to digital Customers expect easy.. Seniors in young market offer silver opportunity Binata Banerjee Account Manager, Millward Brown B..
Social media transparency alters impact of celebrities Anchit Chauhan Account Planning Manager J. .. 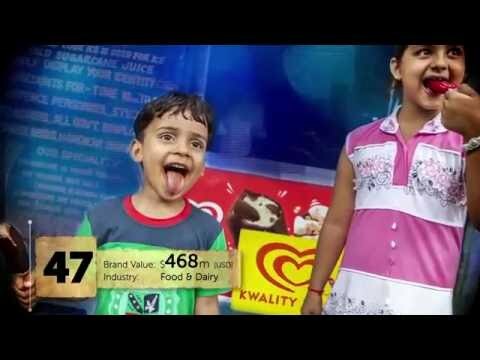 Embrace what’s real to appeal to the young Saumya Baijal Planning Director Ogilvy & Mather, G.. Brick and mortar stores can win in the e-tail era Carl Daji Strategic Planner Contract Carl.Daji.. Craft the brand story well and tell it persuasively Atul Sharma Head, Step Up Genesis Burson-Marste.. Helping the differently-abled brands can help themselves Saloni Sabnis Senior Research Executive Mi.. Engage with consumers as if forming friendships Siddhanth Hoskote Account Manager Millward Brown ..
“Goodbye” invasion of privacy, “Hello” invitation to privacy Pragya Patra Senior Planner Og..
Brands can play an important role in empowering people in India Consumers will remember and reward.. Cool attitudes of youth are reshaping traditional Indian life and values To reach these influential ..
Deceptively familiar, social media in India is distinctively Indian Brands need to understand how ..
Shopper marketing will benefit Indian brand owners and the complex retail sector Immaculate in-st..
Brands need to adjust traditional marketing to reach rising number of social media users Social med..
Brands gain power by shifting from consumer engagement to consumer empowerment Brands with a h.. When building a great brand, delivery becomes much more than simply an afterthought It can cultivate..
E-commerce is booming, but it’s not the only channel Kaveri Kshirsagar Senior Research Executive ..
New fashions empower, rather than oppress Alisha Attarwala Assistant Planner Ogilvy & Mather ..
New audience recruitment platform for FMCG brands Krishna Vilasini Bharadwaj India Practice Chair,.. Marketers advance social causes relevant to brands Sujit Gupta Research Executive Millward Brown ..
Why BrandZTM is the definitive Brand valuation methodology All brand valuation methodologies are s.. These companies contributed knowledge, expertise and perspective to the report www.wpp.com.. These individuals created the report, providing research, valuations, analysis and insight, editoria.. Brand Valuation Contact Details The brand valuations in the BrandZTM Top 50 Most Valuable Indian Bra..
Growth, the new imperative, challenges brands to keep up Strong economy and Brand Power drive recor..